92 pages. Perfect bound, illustrated. 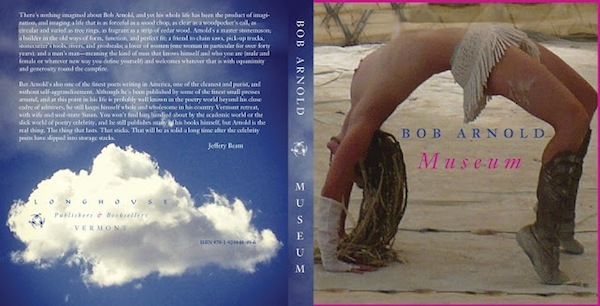 All Bob’s bird poems collected over forty years published from a variety of earlier books and set into this neat and compact (back pocket size) book of poems. 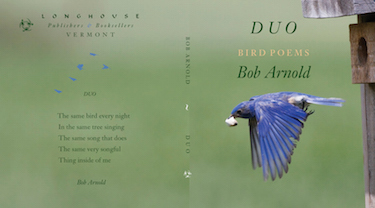 That bluebird on the cover is carrying one of the poems now. 234 page with photographs. Drawing from years of poetry and also new poems. 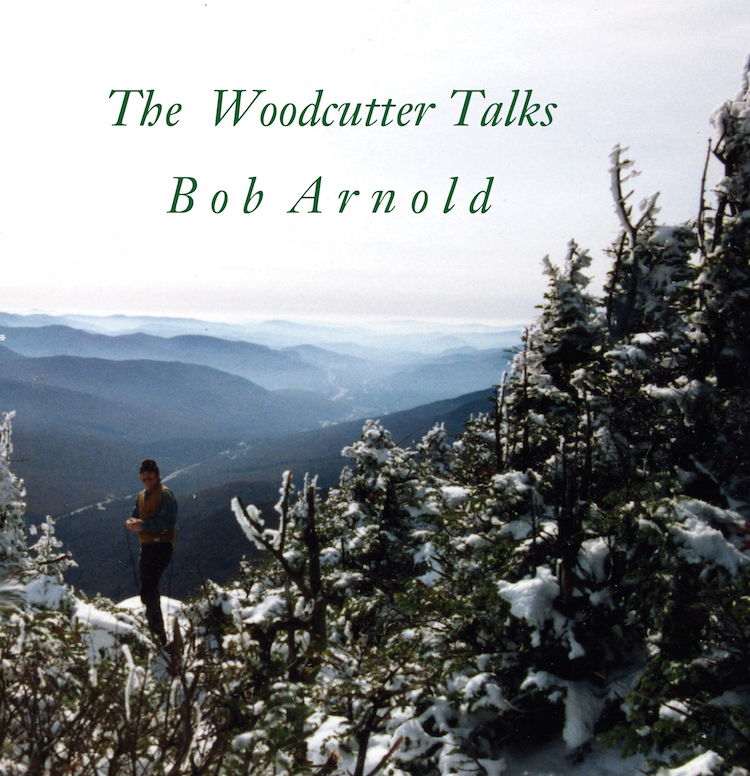 The Woodcutter Talks is Bob Arnold at his finest branching love poems with back country work poems and settlement with community, family and individual portraits. The extensive collection also showcases vintage photographs from woodcutters and woodchoppers and big-saw-pullers of old. Sweat runs down the cheeks of the mere literary and they adore one another. 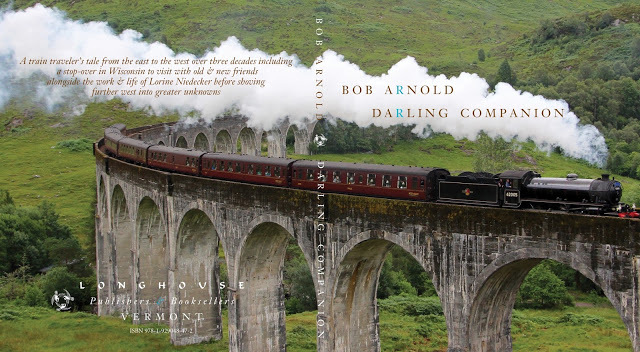 208 pages, perfect bound, illustrated throughout by Bob Arnold with 150 photographs. 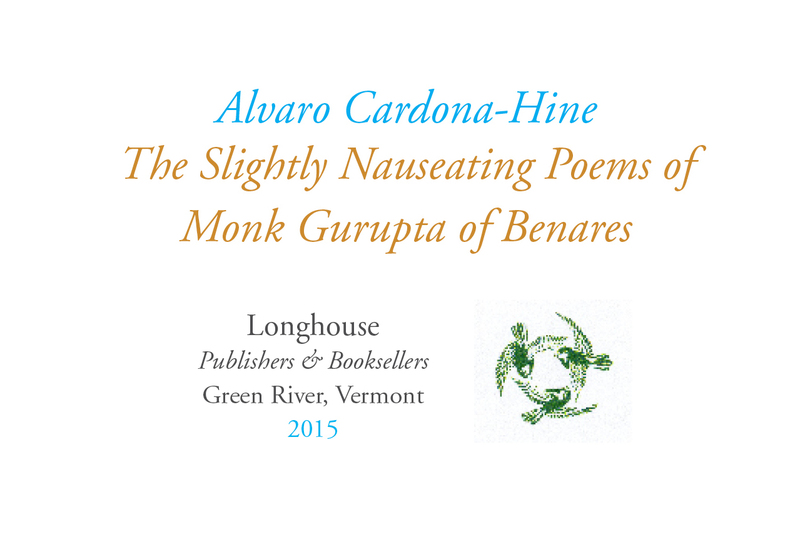 There really was no poet like Alvaro Cardona-Hine — such quiet strength that came with each of his poems, paintings, stories, and right through his correspondence. The high road of New Mexico was his home for decades after some years in Los Angeles where he rubbed shoulders with many of the literati well known and scurrilious Angelenos. 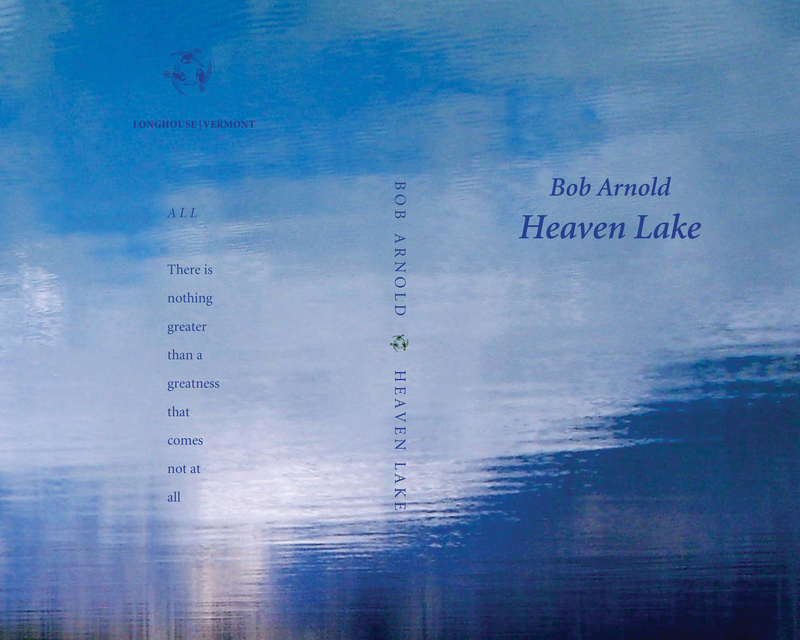 Chosen & edited by Bob Arnold. 160 pages. Perfect bound. 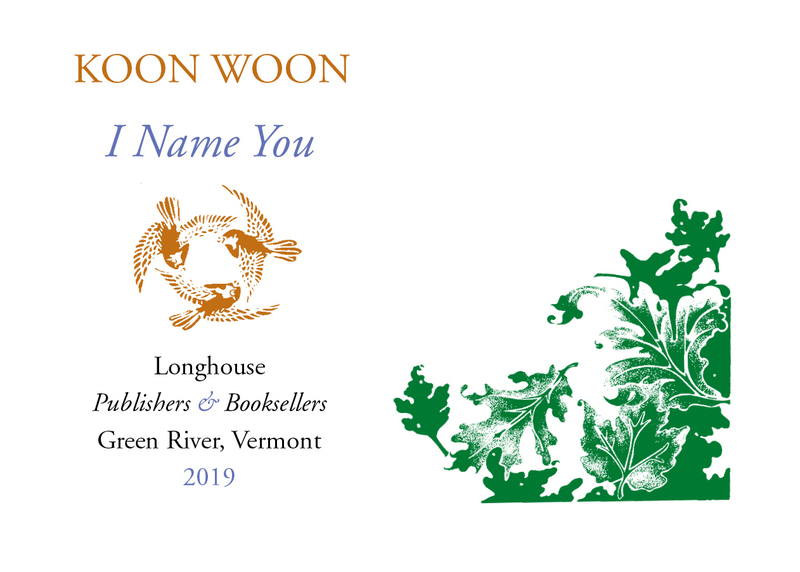 For a year or two Longhouse stepped back from editing and making foldout booklets and concentrated on publishing books by poets we were long interested in publishing. 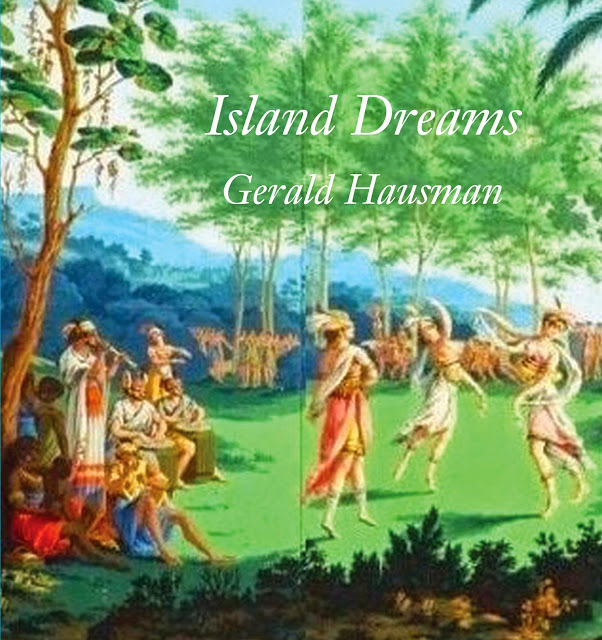 Gerry Hausman was at the top of my list having followed Gerry’s writings for over 50 years, going back to my Berkshire hills youth when I discovered his first few books of poems that stemmed from his home places in New Mexico and the Berkshires. Later he would venture to Jamaica. 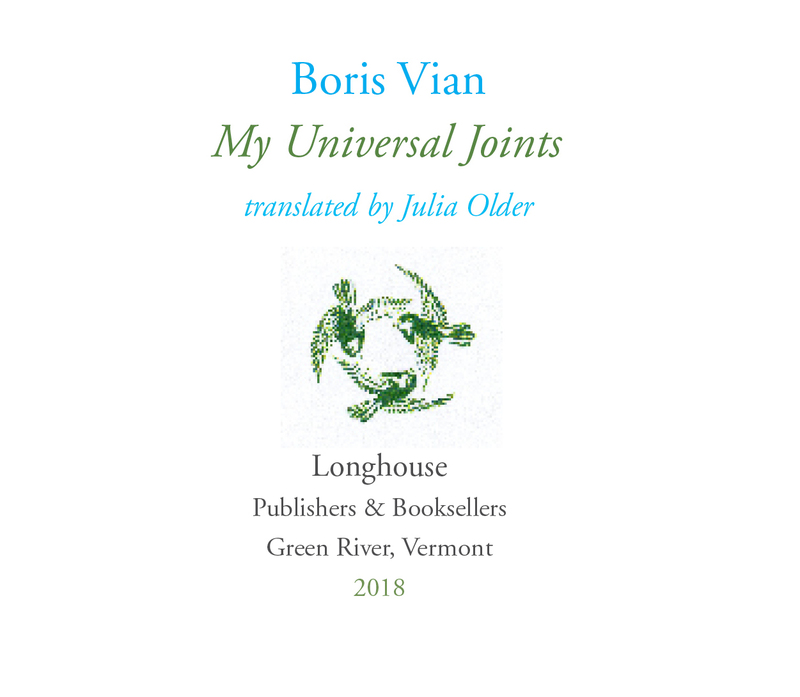 This book of his selected poems hopes to capture all the travels and poems that came. 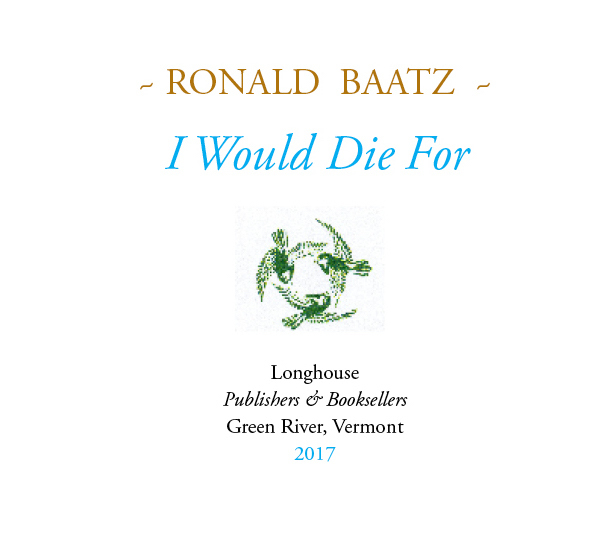 Longhouse has published both versions of Kent’s seminal “I Once Met” series of prose poem portraits — first as a very limited handmade and sewn tall booklet, and later I asked Kent if he would be interested in expanding and sharing from his cosmos of travels, poets and legislators. He was more than willing. This sort of book and energy goes back to the time of Samuel Johnson when nothing stood in the way of the storyteller and the open book. The Crows of Gravity. A Correspondence of Wounds. Here you go, from the poet born in Cornwall, gone to Scotland, America, Japan, South America, and Arran Island, and filled with a very full life to share, or let’s say behold. Ritchie has worked in fields of psychology, philosophy, travel, rich backcountry Japan, poetry, Buddhism, and the arts. He continues the search. 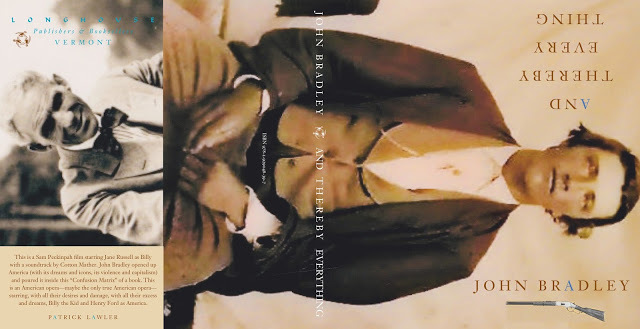 288 pages, perfect bound and packed with poems, the poet’s journals and vintage photographs. 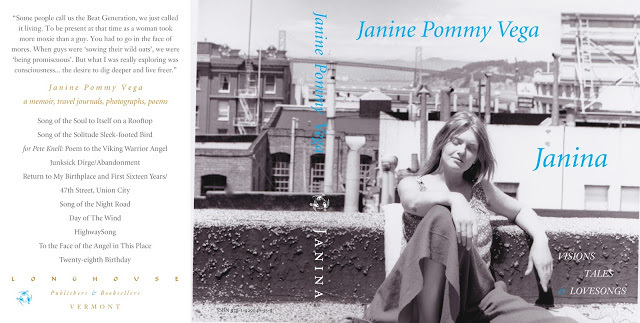 Janine Pommy Vega’s last book of poems she was preparing at her passing in 2010. 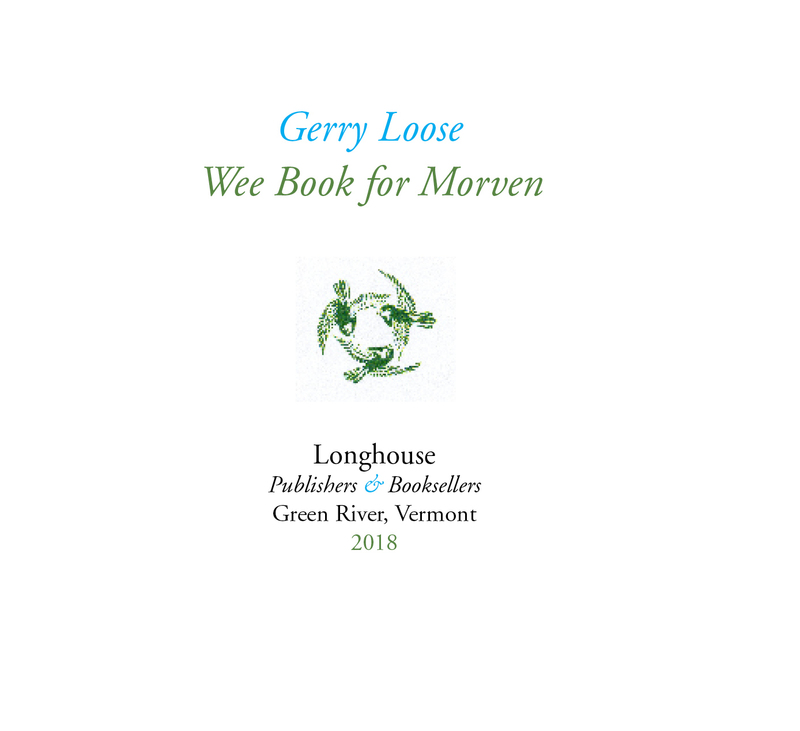 She had sent me a short piece that Longhouse published as a foldout booklet and later we assembled all the poems and made this book for her. This is Janine at her singing best. 112 pages. New in wraps. Perfect bound. Poems written within a snowstorm, literally, the breakdown of power and passage and isolated with the weathering, loving it. 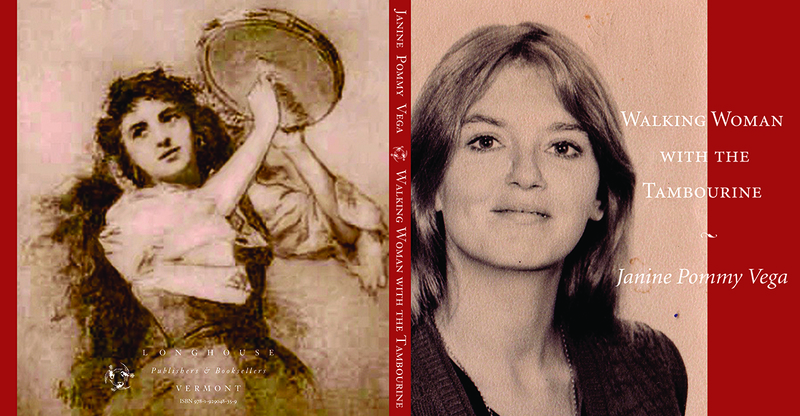 Front cover photograph is by the poet from ice crystals of the storm. The third book of railroad travel by Bob following American Train Letters and Go West. All short poem portraits of where one goes by train and what one may see, eyes and ears wide open. From the east coast by rail to Lorine Niedecker’s homestead and friends in Wisconsin, later sidewinding down through the southwest and curling like smoke back to Chicago, railroad’s hub. 236 pages, prose — including a collage of levitating illustrations and photographs, joyously and with wit chosen by the author. Perfect bound. 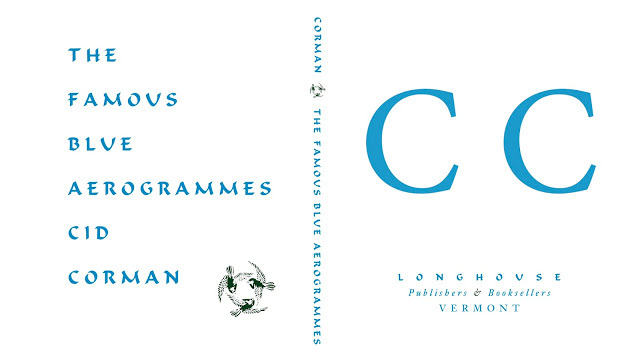 and instead like the front cover figure — arched, looking and balanced. but what the hey — we'll share it all with you here. Edited by Bob Arnold. 90 pages, perfect bound with color insert. Cid Corman from his home in Kyoto, Japan was more than famous at being the constant correspondent, and seemingly the letters were never finished by Cid, as he added a poem of his or from one of the many classic Japanese poets he translated by Basho, Buson, Issa and others on the outside for anyone to read. Certainly our mailman (woman). He would never identify the author; we are all the author in Cid’s eyes. With that in mind, I collected all of the poems he would share with me on the blue aerogrammes he mailed regularly from Kyoto, and made this book. Including photographs by Kim Dorman, Selected and edited by Bob Arnold. 80 pages. Perfect bound. 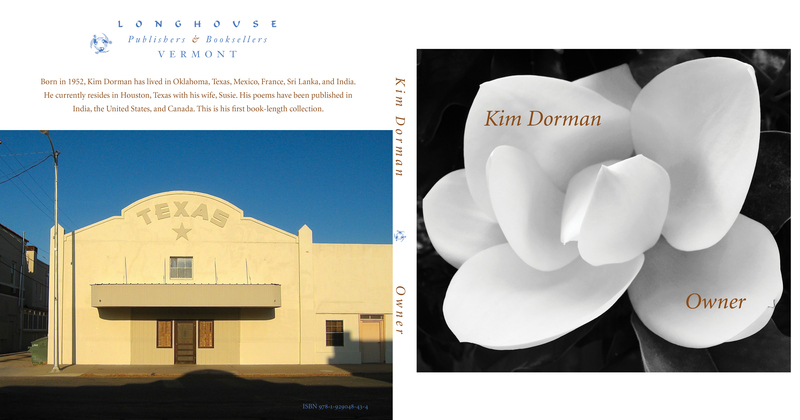 Those are Kim’s photographs from Texas, he’s a native, and both catch the study of the poet. Poems of stillness and caliber. 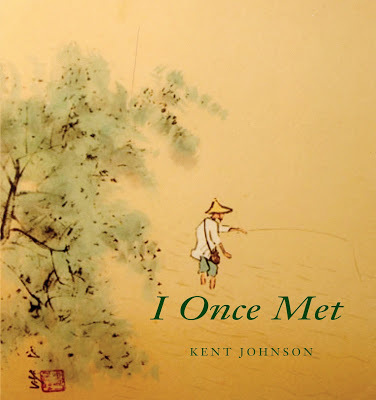 Many of the poems I gathered personally from Kim or from his hand-built and issued reguarly, Gleanings where he promotes the truest art of sharing writings, journal entries, poems and homages from poets now and past centuries. 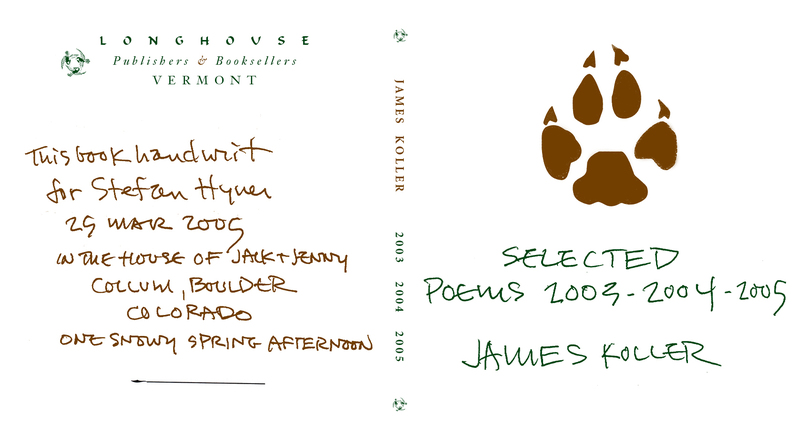 Absolutely hand-writ, probably the most comfortable medium for Jim Koller was to felt-tip-pen-write his poems and share as immediate and sure as sunlight or a bird call. These were poems written while hold-up in the poet Jack Collom’s home during a Colorado blizzard and Koller had some poems on his mind. I’ve been reading Dudley Laufman’s poems for a long time, either from an early New Hampshire publication, or the many pressings Dudley would send to me from his Wind in the Timothy Press. 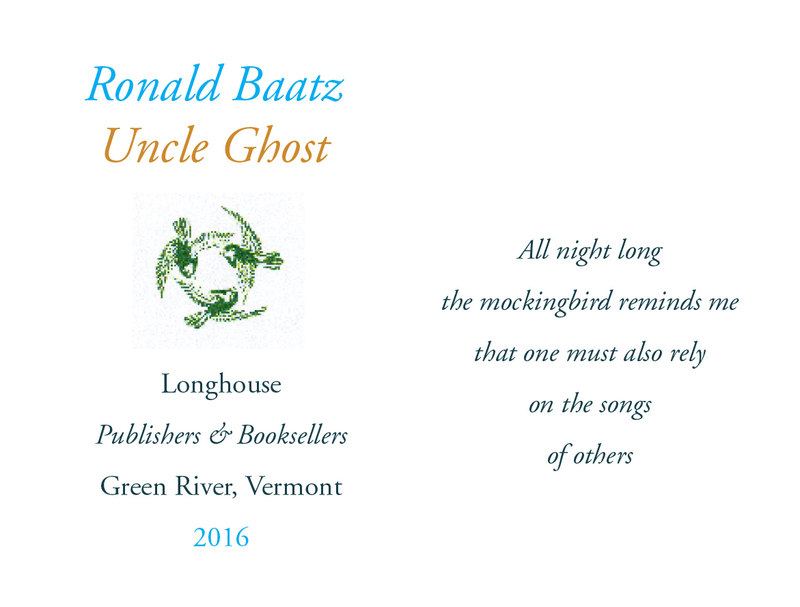 The farm poems are some of the best ever written from New England, or anywhere. 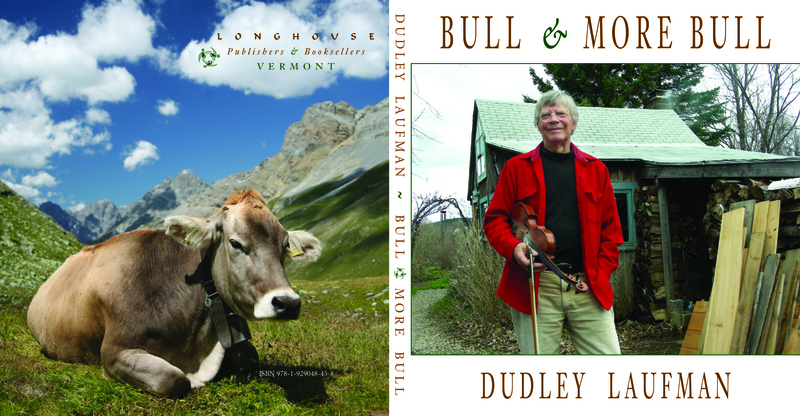 The cow on the back cover is dozing in Switzerland but Dudley’s holding his fiddle in Canterbury, New Hampshire on the front cover where he still plays, high-lights dances, makes music and writes narrative and portrait poems of neighbors, travels and countryside. 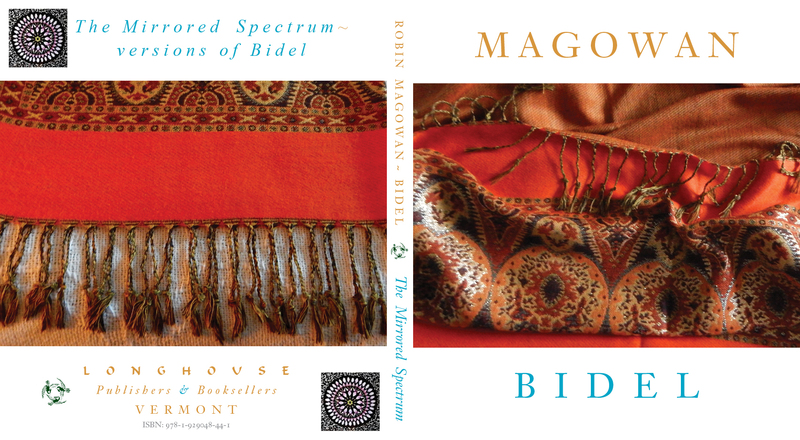 We first published Robin’s translations of Bidel in a small foldout booklet that was quite popular and it only took a matter of time where a full collection would make the best sense. . .so there we went. Front and back cover photographs I took right on our bed where I spread out some of Susan’s scarves. With collages by the author. 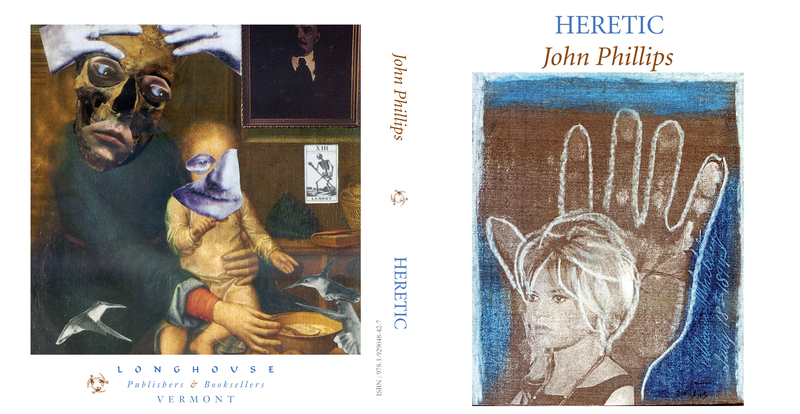 Front and back cover collage art work is by John Phillips and ones I chose out of a dozen by the poet. I put the rest right inside the book of poems and they add mysteriously to a book that is anything but a mystery. 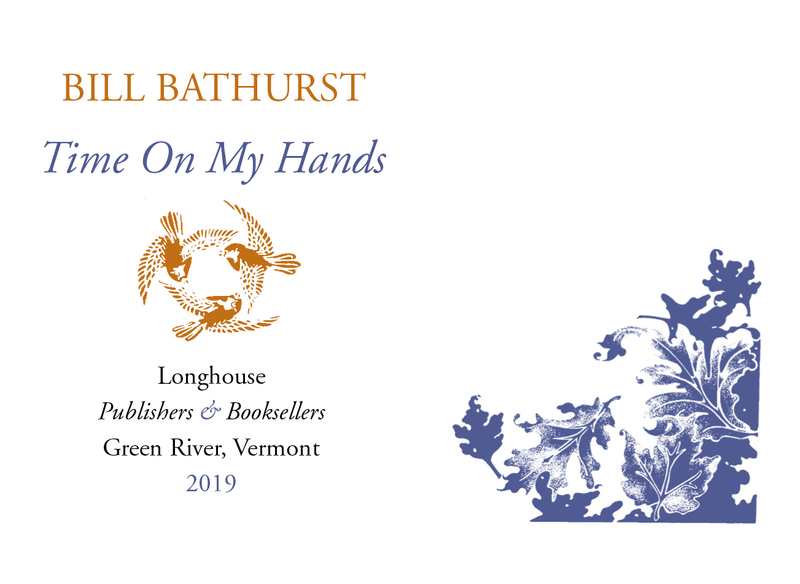 Sharp glassy poems that slip in your fingers, maybe one or two will cut but all they are asking is for you to come and be a reader, and John will do the rest. This is an excellent selection of the poet’s work over some years that feels comfortable with itself. Andrew says it all. 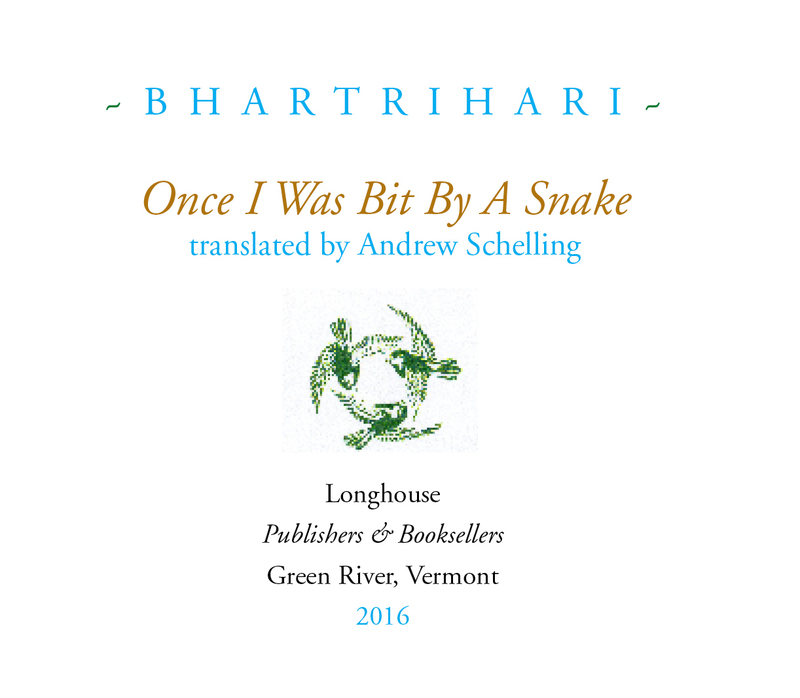 This booklet continues a long relationship of booklets by the poet over the years with Longhouse that spans many poetries and canyons. Oh dear, Bob’s notebook of quick drawings, as journalism, during the first 30 day heartache of the Trump administration. Everyone that came through the vortex is here. No holding back. The winter month was loved and lived in-and-out and not ruined. Ronald sent to us this long poem he had in his storage box and was working on and thought I most likely would not like the poem (although he didn’t say so until afterwards) whereas I loved the poem. And in those moments the only thing I can think of is to publish the poem! So we did. Susan liked the poem as well. The only suggestion I had to Ronald was that he might want to break the poem open into individual stanzas, and the next time he sent me the poem, that’s exactly what he did. 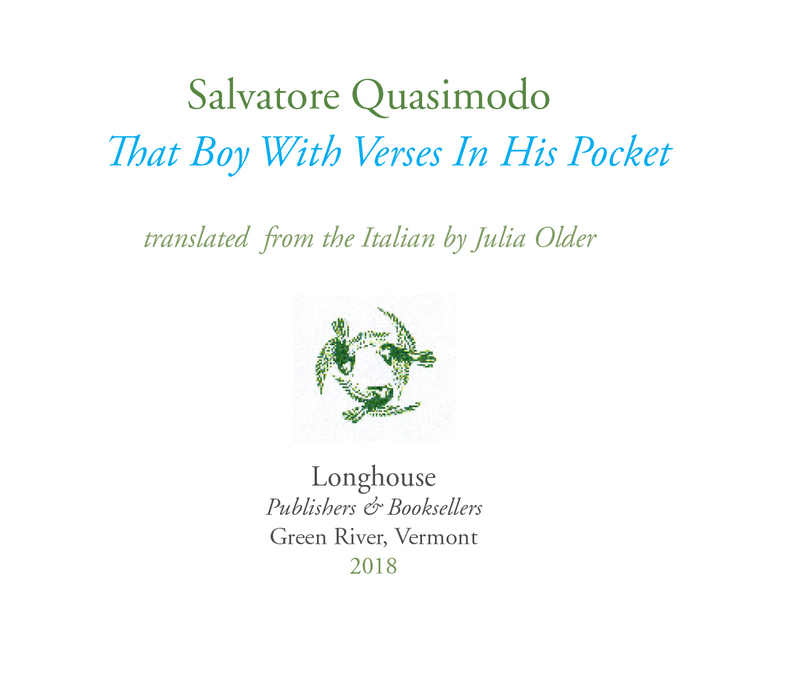 The poem acts as a broadside, stands quite nicely alone, but I didn’t want to print a broadside and be left ferrying out a delicate piece where no one wants the corners bent. Housed in our foldout booklet, with a wrap band, the broadside folds open, folds closed, folds for you. J.D. and I correspond just about daily — unless he is on a small side trip somewhere with Lisa (as he is today) — we are right there with one another, and sometimes being right there includes receiving a poem fresh out of the oven. 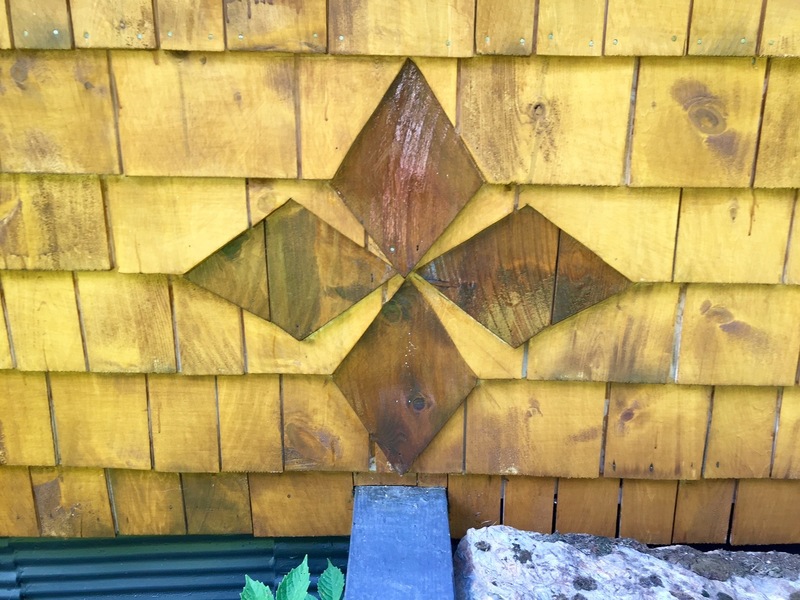 J.D’s “cousins” poems are ideal to tuck into a letter, as an added gift of the day, or something other than the letter, and after awhile I remember a gathered bunch in my head and ask him if he is ready for another Longhouse booklet. 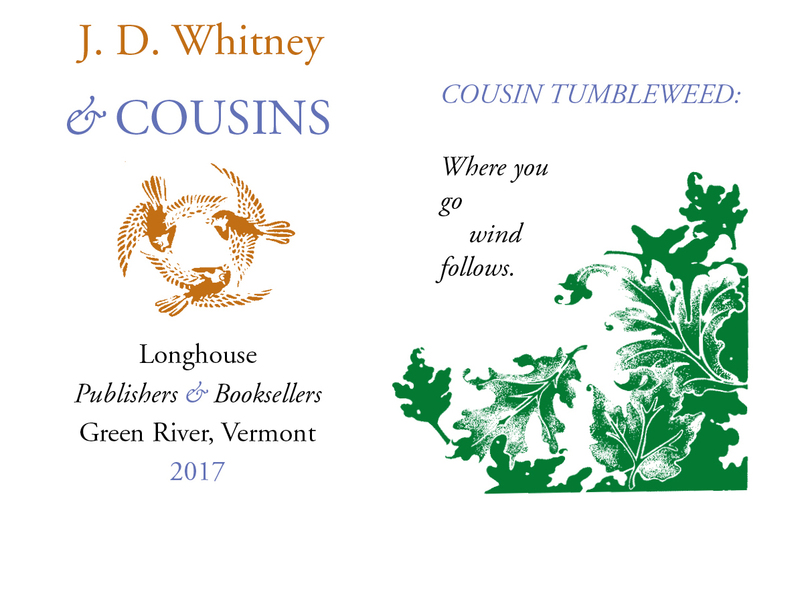 I believe we have now published four cousin booklets, having fun with the titles of each booklet as more cousins show up. . .you know cousins. 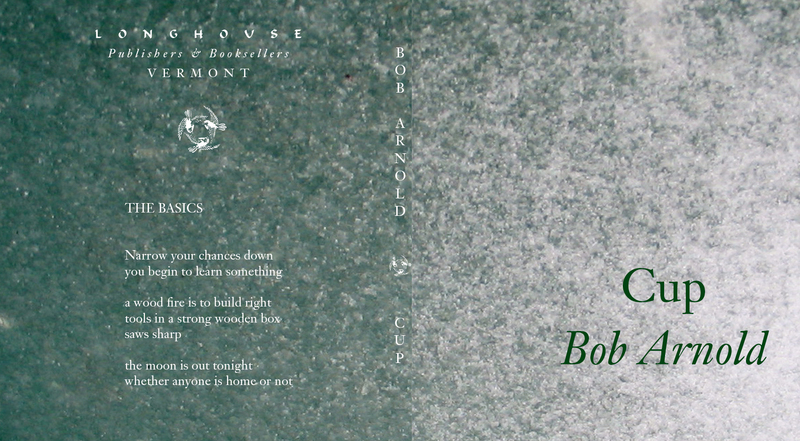 Bob's latest poems from the wilds of Vermont and the loves at his threshold. 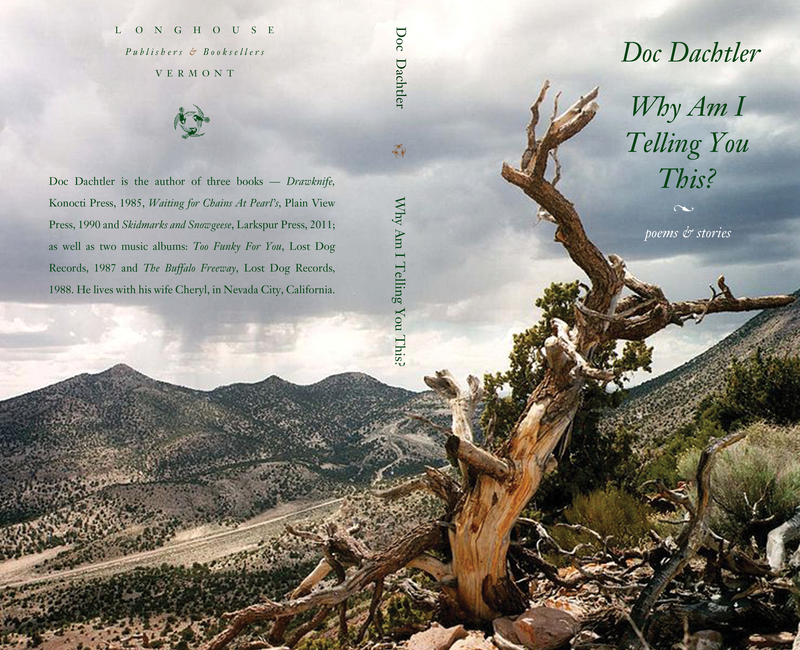 Doc's new poems from the foothills of the Sierra Nevada with deep grain memories of childhood in the Dakotas. Foldout accordion booklet with wrapped band. 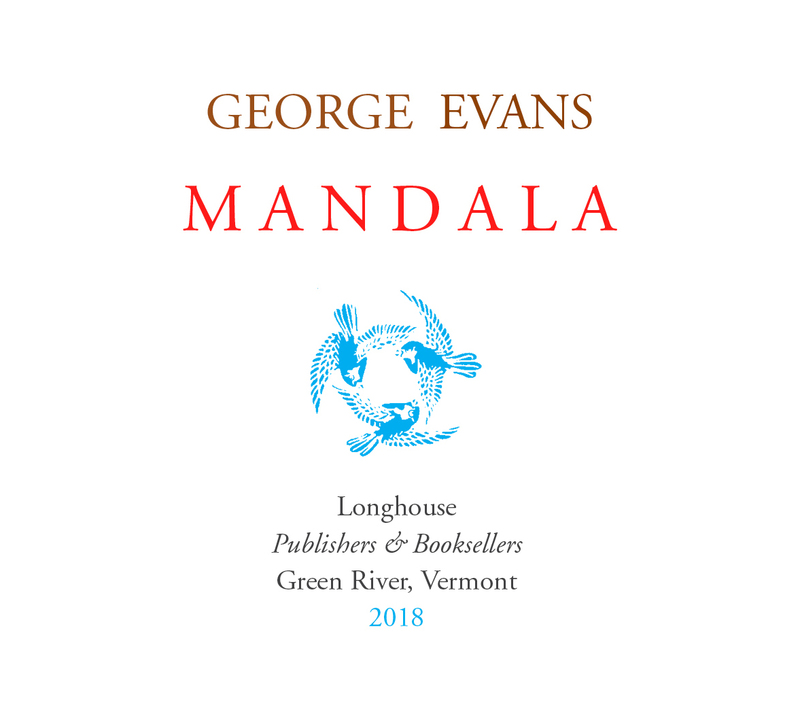 George puts an eye bead on the state of the union — the larger world. From Scotland — walk the land and the love with Gerry. Foldout accordion booklets with wrapped band. Two new attractive foldout booklets of poems by European masters translated and well-shaped by Julia Older and wrapped with a decorative band. 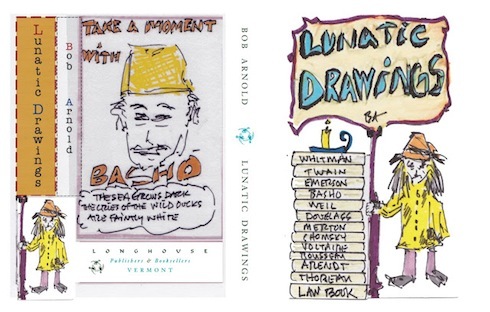 A book of portraits — all poets — to put into your saddle bag. 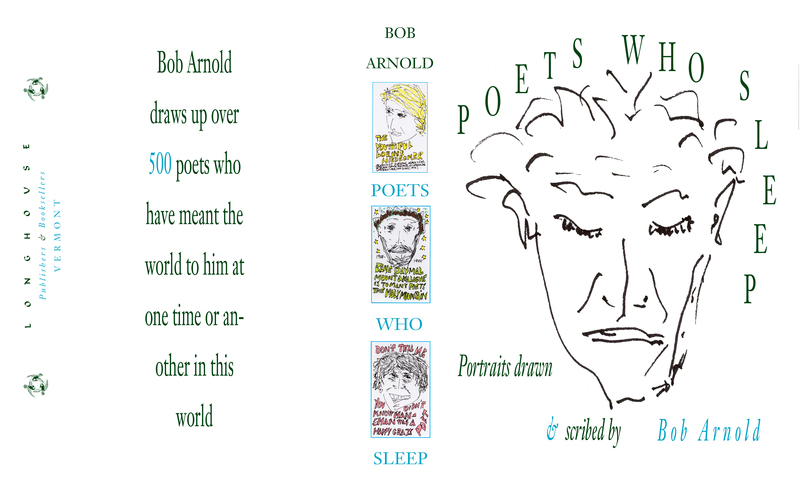 Nearly 600 pages of color portraits of Bob Arnold's view & memoir of poets he has either read. edited and published or known, and often all of the above. Each portrait is hand-scribed by Bob with a personal touch. Foldout poem booklet with wrap around band. Bill's poem from 1967, published here for the first time, lamp-lit with the world of Billie Holiday. A new sheaf of poems by Koon sent by passenger pigeon from Seattle, housed in a foldout booklet with decorative band.